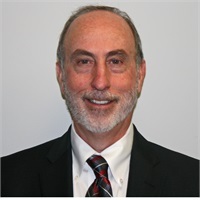 Eric Rifkin | Edelman Wealth Management Group, Inc.
Rifkin has been a licensed CPA for more than 30 years and has been an Edelman Wealth Management Financial Representative since 2010. He started his own accounting firm in 1988. Rifkin takes pride in establishing lasting relationships with clients by providing quality service and creating a bond of trust. He treats of each one of his clients like he would a friend. Rifkin graduated from Temple University in 1975 with a B.A. in accounting. As a senior he was a member of the school intramural championship basketball team. He was also captain of his high school chess team and finished fifth in a national tournament. When he isn't working Rifkin enjoys playing golf and spending time with his wife, Gail, and his best friend.